New GFCIs provide better shock protection for you and your employees. 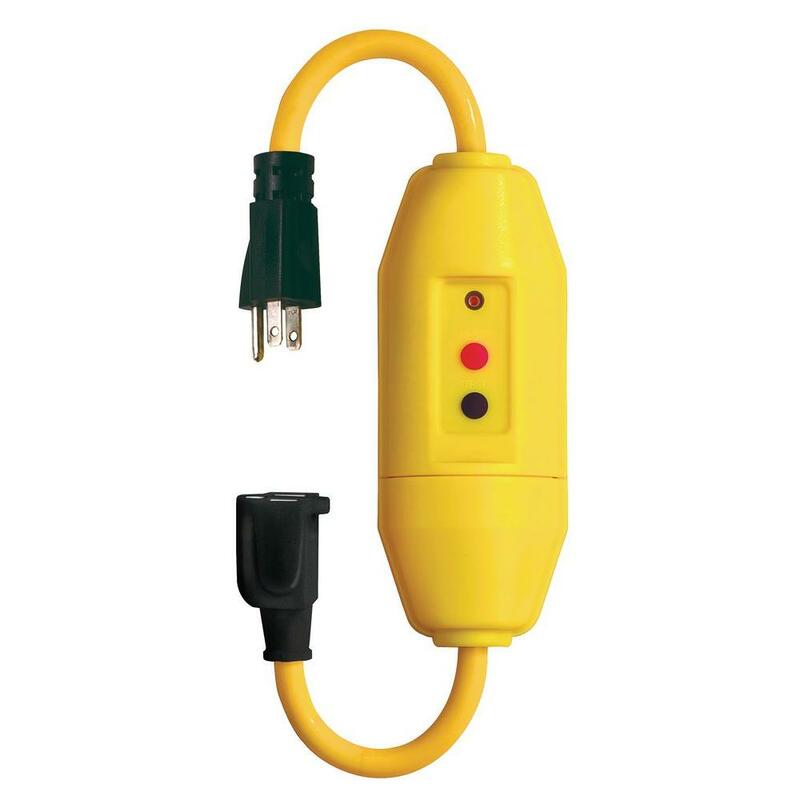 120-volt Ground Fault Current Interrupters have saved countless lives since their inception back in the early 1970’s. GFCIs provide shock protection by monitoring the current on the “hot” wire of an electrical circuit and comparing it to the neutral wire. The current going out on the hot must be close to the current returning on the neutral, If the device detects an imbalance greater than 5 milliamps, typically because the return current is running through you instead of the neutral wire, it will trip and de-energize the circuit within a fraction of a second preventing a shock of any serious magnitude. Be aware that the shock protection provided by the device is not foolproof. A shock or electrocution can occur if you touch the hot and neutral conductors in a GFCI-protected circuit at the same time because the internal current monitoring circuit won’t sense an imbalance and will not open the circuit. Ground Fault Circuit Interrupters can and do fail. Just ask your friendly home inspector. You’ll be surprised at how many times he or she finds faulty GFCIs when inspecting the electrical system of old and newer homes. In some cases, the monitoring circuit has failed but the device still allows electricity to pass through it unprotected. Therefore, the National Electric Code and NFPA 70E (see article 110.6(D)) require that GFCIs be tested in accordance with the manufacturer’s instructions. 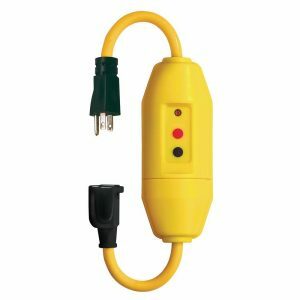 The test is very simple, just plug in your drill, pull the trigger and then press the test button on the GFCI. The drill should stop running if it doesn’t replace the GFCI. By the way, these tests are required to occur monthly. Take a close look at the front of your GFCI the manufacturer’s testing requirements are printed right on the face of the device. When installing or replacing a GFCI it is important to land the wires coming from the feeder breaker to the “Line” terminals and any downstream device to the “Load” terminals. If you connect the “Line” conductors to the “Load” terminals you have essentially back-fed the GFCI. Although downstream receptacles will be protected, loads plugged directly into the GFCI itself will not. Therefore, it’s imperative that you closely follow manufacturer’s installation instructions. When installing a new or replacing an old GFCI be sure to install a unit the meets the latest UL 943 requirements. Effective June 29, 2015, ground fault circuit interrupter (GFCI) receptacles and circuit breakers were required to be manufactured with an auto-monitoring or self-test function. 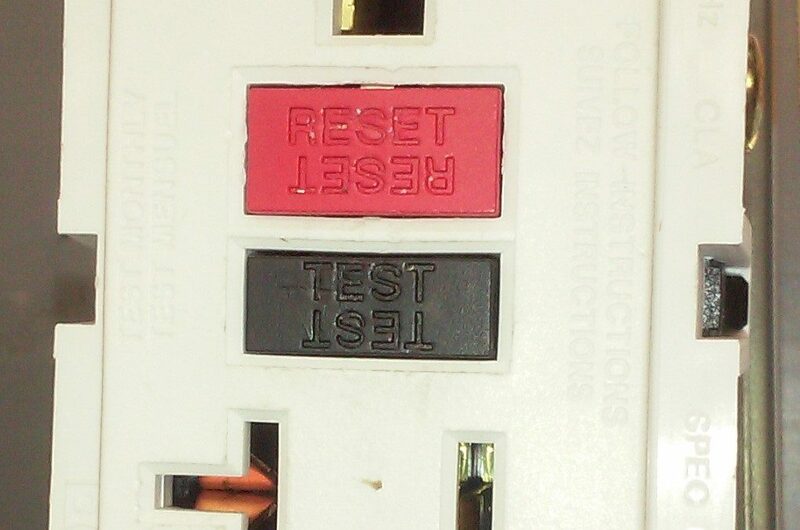 This self-testing feature must automatically conduct an internal test to confirm the GFCI is able to respond to a ground fault. If a problem is detected during the self-test, the GFCI must automatically trip open the circuit or produce a visual, and or, audible alarm. An additional requirement of the new UL 943 standard requires that there be reverse line-load protection. If the line wire is landed to the load terminals of a GFCI receptacle, power to the receptacle face will be interrupted. The latest revision of UL 943 only applies to class-A permanently mounted GFCI receptacles. Portable GFCI units, such as those used for maintenance and construction activities in your facility, are not required to meet the standard so they will not have a self-test feature. Be sure to test these devices prior to each use. Test Portable Units Before Each Use! Do you still need to perform the monthly test? Yes. The new UL requirement for class A devices is intended to provide an added layer of protection to users, so the monthly manual test requirement does not go away. Once again, read the fine print on the face of the device. Perform a quick audit of your facility to determine if self-testing GFCIs are installed. If GFCIs are identified that are not self-testing, replace them with up to date models. Be sure that the devices are tested monthly by incorporating them into your preventative maintenance schedule or documented electrical safety program. OSHA is always a great resource for workplace safety information. Click here to see what they have to say about GFCI protection. Be sure to view our other safety tips by clicking here.